If you want to learn more about Hatcher Law Group, P.A. 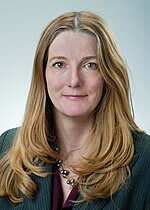 and the legal services we provide, please contact Julie Ziemendorf the firm’s Senior Legal Assistant/Administrator. Ms. Ziemendorf serves as the Hatcher Law Group initial point of contact with prospective clients while offering comprehensive support to our existing client base, and providing administrative, organizational and logistical expertise for ongoing case management to the Hatcher Law Group litigation support staff. Ms. Ziemendorf has been active in the Northern New Mexico legal community for nearly three decades. From 1986 through 1996 she was with the firm of Felker, Ish, Ritchie & Geer, P.A., beginning as a legal secretary before becoming the firm’s office manager. In 1996 she joined Hatcher, Sullivan & Grand, P.A. as Office Administrator, subsequently moving to Miller Stratvert P.A., until joining Hatcher Law Group, P.A. in 2009. She is an active member of the American Association of Legal Administrators and can be reached directly at 505-983-6525 or via email at juliez@hatcherlawgroupnm.com.